Brand loyalty refers to a consumer’s commitment to repurchase or otherwise continue using a particular brand by repeatedly buying a product or service.Brand loyalty is viewed as a multidimensional construct, determined by several distinct psychological processes, such as the customers’ perceived value, brand trust, satisfaction, repeat purchase behavior, and commitment. Commitment and repeated purchase behavior are considered as necessary conditions for brand loyalty, followed by perceived value, satisfaction, and brand trust. Brand loyalty can be defined as relative possibility of customer shifting to another brand in case there is a change in product’s features, price or quality. As brand loyalty increases, customers will respond less to competitive moves and actions. Brand loyal customers remain committed to the brand, are willing to pay higher price for that brand, and will promote their brand always. 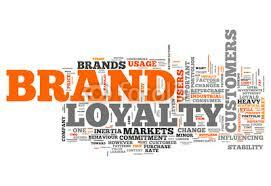 A company having brand loyal customers will have greater sales, less marketing and advertising costs, and best pricing. This is because the brand loyal customers are less reluctant to shift to other brands, respond less to price changes and self- promote the brand as they perceive that their brand have unique value which is not provided by other competitive brands.